You can get freedom in a box with the PetSafe Boxed Kennel. 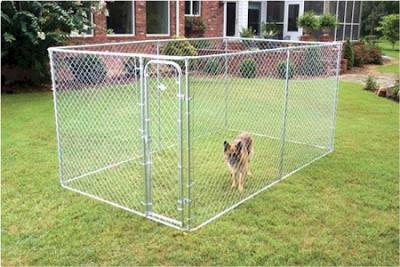 Create a full-size chain-link dog run from the contents of a single box. Our do-it-yourself dog runs can be transported with ease and can be set up quickly with the help of a few simple hand tools. In next to no time, your furry pal will be enjoying some fresh air and freedom.